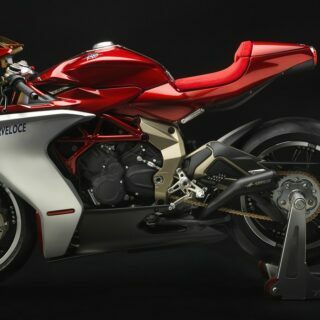 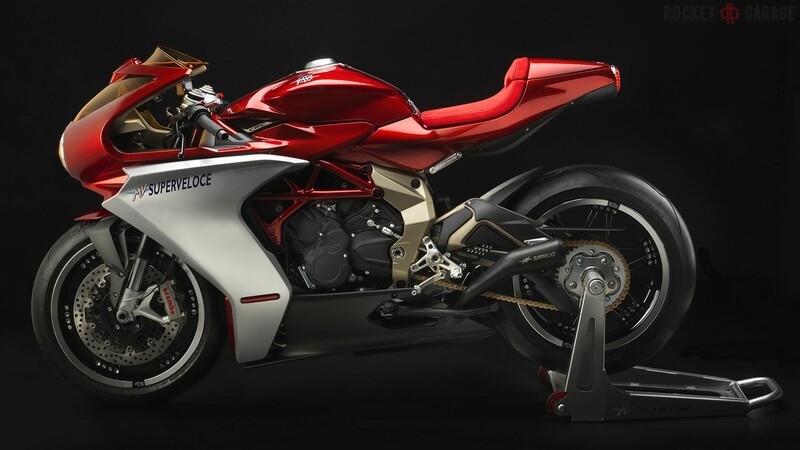 The MV Agusta Superveloce 800 makes its debut, in concept form, at the EICMA, a precursor to the model that will be produced in the second half of 2019. 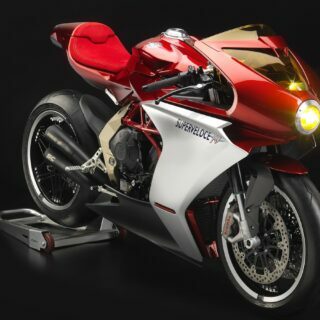 One of the most appreciated bikes in Eicma. 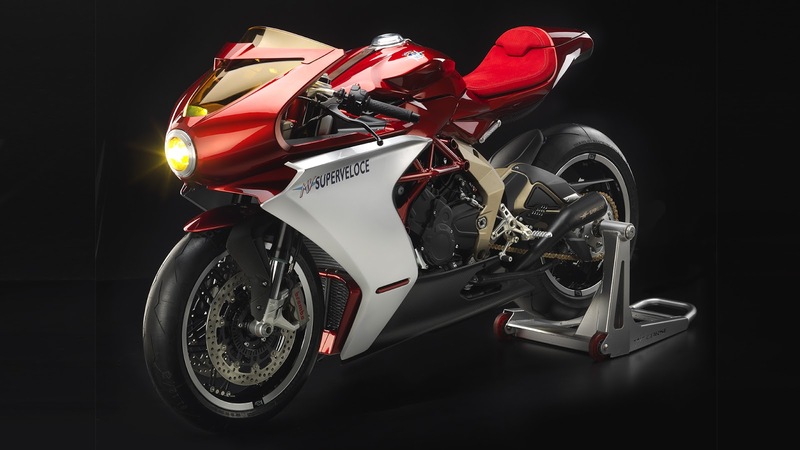 The Superveloce 800 is destined to become one of the most eclectic and original models in the company’s history. 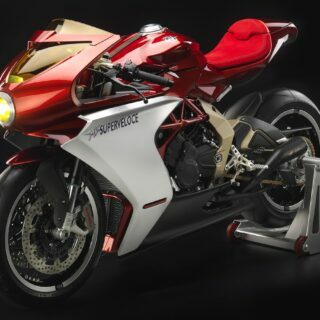 The lines of the Superveloce 800 are a modern interpretation of the iconic lines formed by the MV Agusta heritage, the fusion of vintage and contemporary. 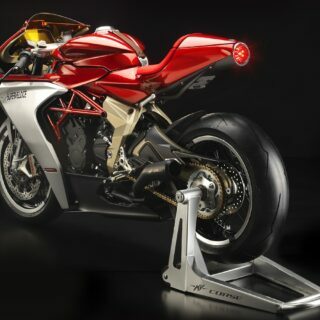 The carbon fibre fairing envelopes the sleek and functional forms of the engine and frame like a second skin. 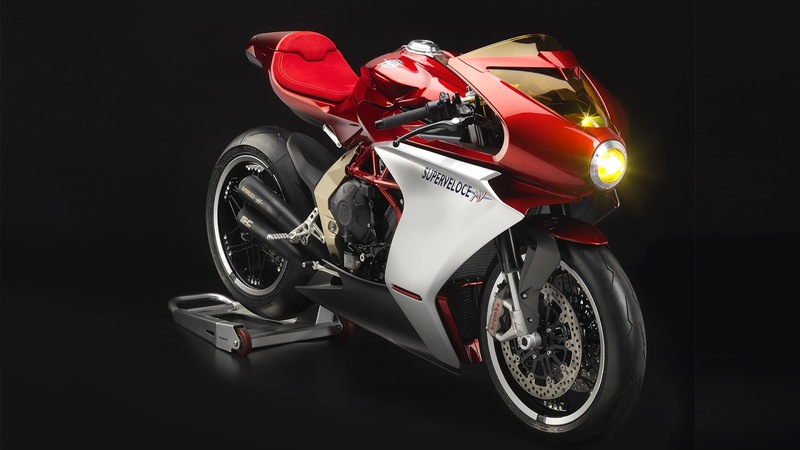 The upper fairing, with its classic cut lines, makes tribute to design ethos of the nineteen-seventies, highlighted by the yellow colour of the plexiglass windscreen and the headlight unit. 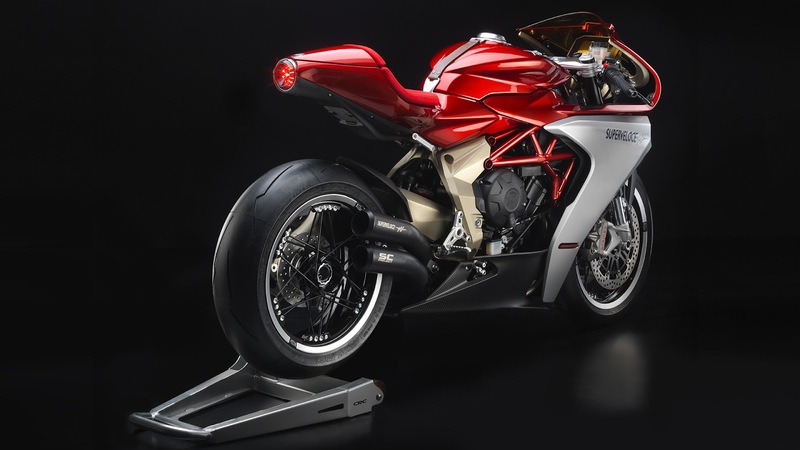 The latter is a technologically advanced twin-function full LED poly- ellipsoidal. 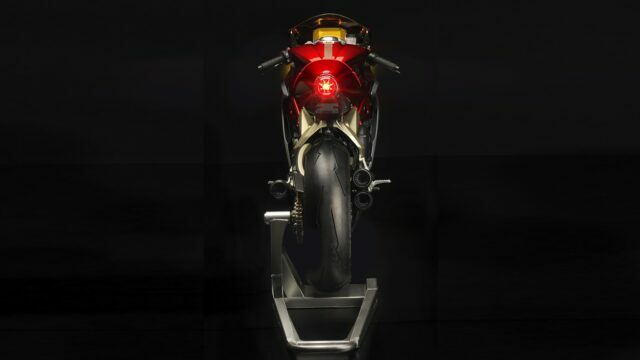 The daylight running light, also LED, is built into the cover of the new instrument cluster. 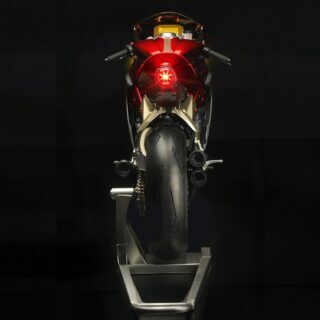 One of the defining details is the new circular LED tail light unit, elegant, and distinctive. 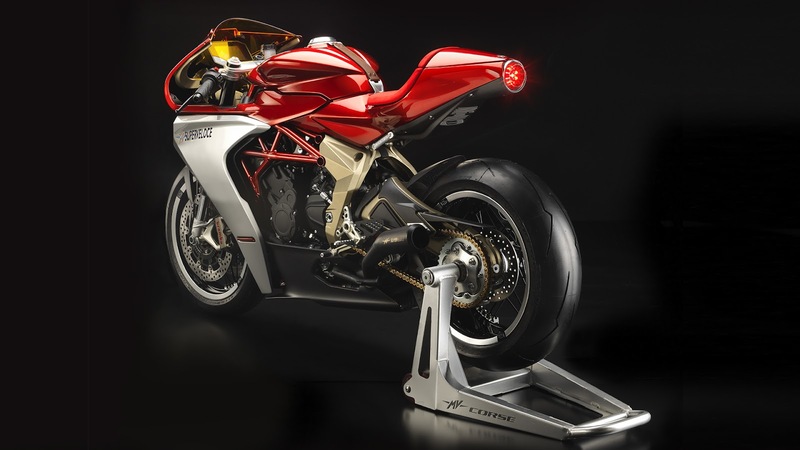 The exhaust is a vintage interpretation of the hyper-technological SC-Project products. 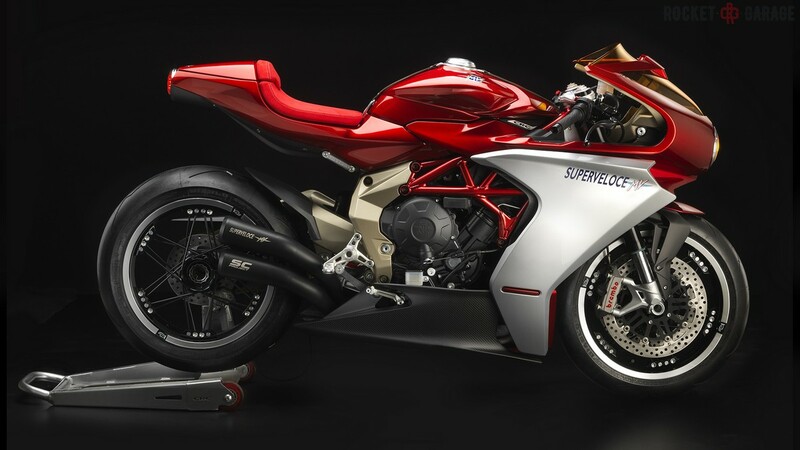 Two mufflers on the right side and one on the left side in full titanium, black edition, customized with MV Agusta and Superveloce logo.